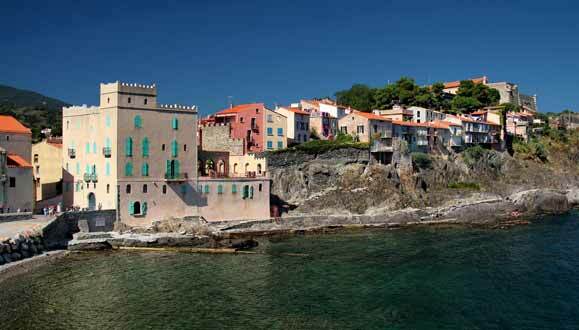 At the southernmost tip of France is Collioure, an old fishing village. 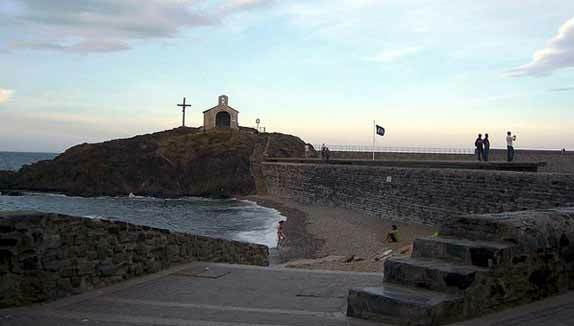 The town is mostly surrounded by the Mediterranean Sea, and is bordered by Port-Vendres to the east and by Banyuls-sur-Mer to the south and is located approximately 27 km from Spain. It is now a beautiful resort town that attracts many vacationers, particularly during the high season. 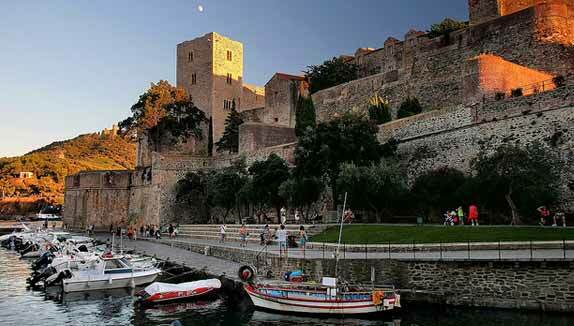 In fact, the town of Collioure has many important sites to see, with its cultural and historical heritage. But it also has a very particular climate that makes visitors want to stay as long as possible: the summer is particularly long and the winter is very mild, unlike many other French tourist towns. 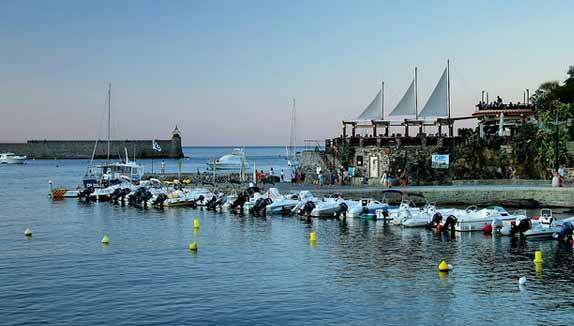 Collioure has a particularly rich history, can be seen by its many historical sites, all part of its heritage. There are religious sites, including the Notre Dame de Consolation hermitage, the Notre Dame des Anges church, the Dominican cloister, the Dominican cellar and the Protestant temple. 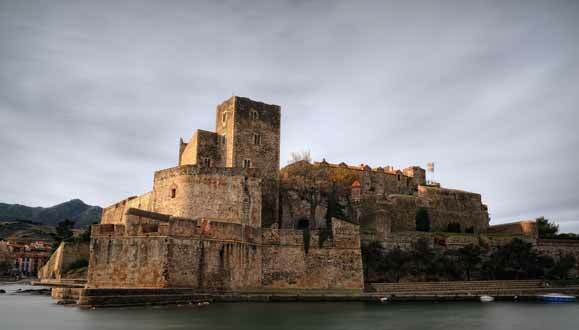 The town is also known for its defensive structures and castles, with original and imposing architecture, like the Fort Saint Elme, the Taillefer battery, Fort Rond and Fort Carré, Fort Dugommier, Fort Miradou and the Royal Castle. 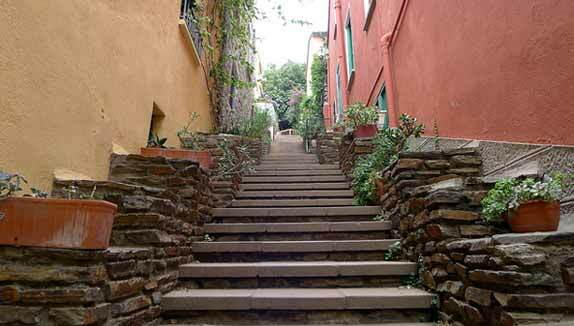 The Moulin de Collioure and the Quartier du Moré are also interesting places to visit in Collioure. Also, during your trip, don’t forget to taste the town’s best specialities. You will love its fresh dishes made from local products like seafood, crustaceans and fresh fish. 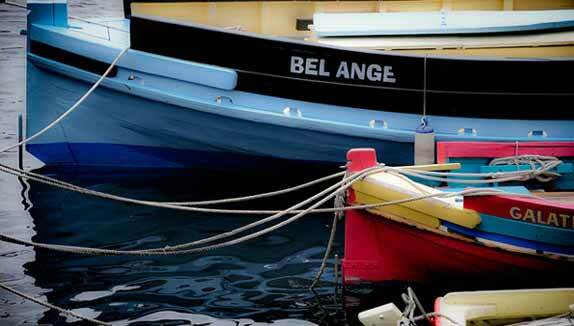 Collioure is also famous for its anchovies, a traditional specialty, as well as its Catalan lamb or Crème Catalane. And a good Collioure wine pairs well with these dishes. 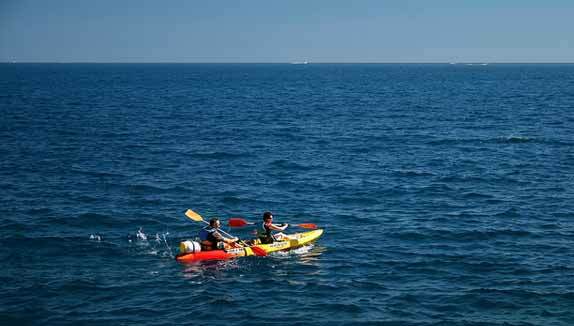 How to get to Collioure from La Palme? 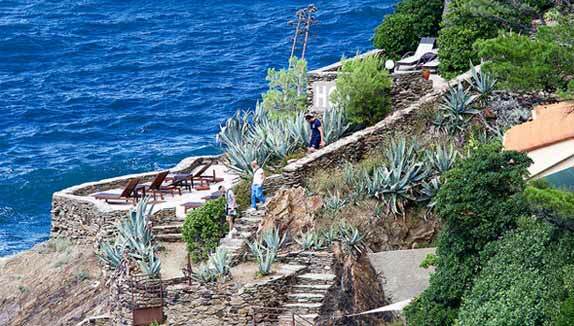 But where to stay during your trip to Collioure? Don’t worry! We at La Palme would love to have you at our 3-star campsite, located near the beautiful beach of Leucate. You can rest and relax and enjoy your holiday in this calm setting surrounded by greenery. We have quality accommodations for rent and excellent service for our clients. Once here, you will find restaurants, a convenience store and shops for small purchases, a bakery, etc. Also, you have full access to the campsite’s heated pool, for fun and relaxation. During your stay at La Palme, you can learn more about the surrounding towns and historical sites. 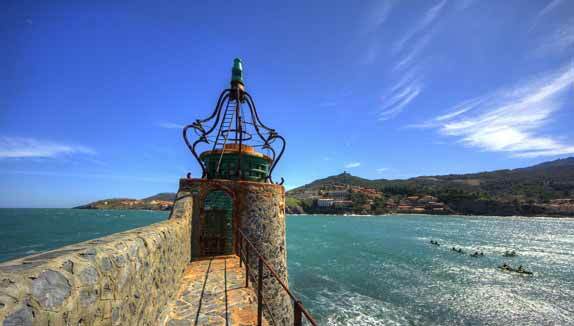 You can access Collioure from La Palme, as it is not far from Leucate.